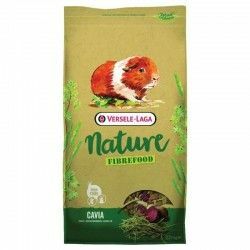 The feed for rabbits and rabbits dwarves Versele Laga Cuni Nature Re-balance is elaborated thinking in animals of advanced age who have little physical activity and tend to be overweight, as well as for those with a sensitive digestive system. 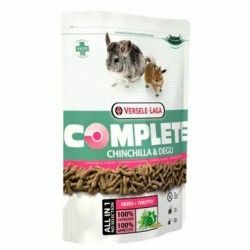 It is a complete food for easy digestion and low in calories, with natural ingredients that provide the vitamins, minerals and amino acids your pet needs: fibers, herbs and vegetables without whole grains. Made without granulated pressings, this is a meal very appetizing. 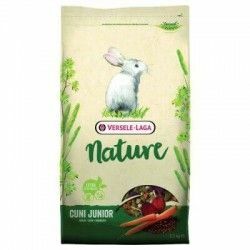 Food for rabbits Versele Laga Cuni Nature Re-balance contains a formula light, low in calories and starch and rich in dietary fibre for good ingestion and digestion, which helps to control the overweight in mature animals that move little. 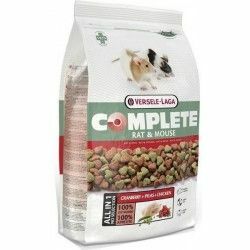 It also contributes to the absence of grain full, which decreases the sources of starch and is beneficial for your gut, reducing the risk of allergies. 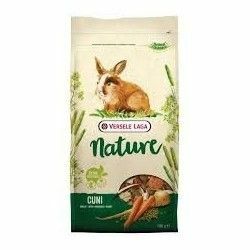 The natural fibers which includes this food for rabbits is an ingredient which helps to decrease the formation of hair ball in the stomach of your rabbit, especially those who have long hair. 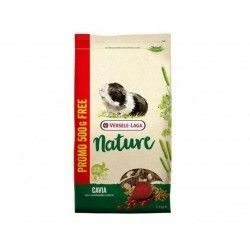 On the other hand, Cuni Nature also reduces the odor of their feces and urine thanks to the extracts of cassava that contains, which serve to fix the ammonia and other components that cause it. I think for rabbits older to control their weight. 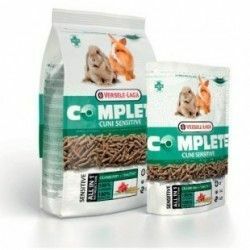 Keeps your pet healthy because it contains the nutrients that you need. 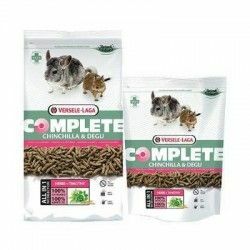 Formula light, no cereal complete, to prevent obesity. With natural fibers that decrease the formation of balls of hair in their stomach. 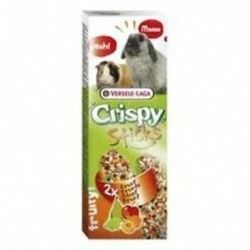 With extracts of yucca which reduces the odor of feces and urine. 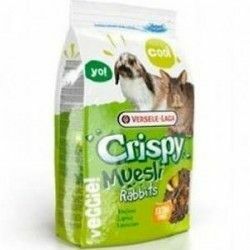 Food for rabbits and rabbits dwarves of advanced age who have little physical activity and therefore more likely to become overweight, as well as those with digestions delicate. 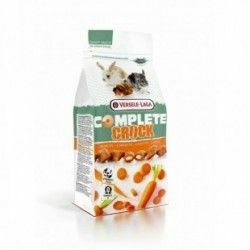 Your rabbit will eat more or less depending on your age and your size, so you have to adapt the daily ration of food you give. 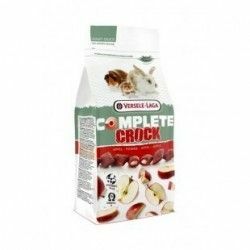 The manufacturer places it between 50 g and 80 g.
Change the food and water your pet on a daily basis. 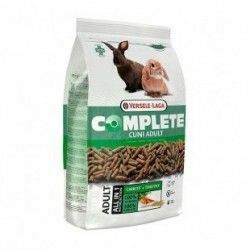 Analytical components: protein (15,5%), and fats crude (4%), crude cellulose (15%), crude ash (6%), calcium (0,80%), phosphorus (0,50%), methionine (0.23 per cent), vitamin A (12.000 IU/kg), vitamin D3 (1.500 UI/kg), vitamin E (40 mg/kg), copper-copper enxofre (II) (10 mg/kg). 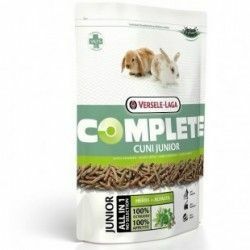 Description: The feed for rabbits and rabbits dwarves Versele Laga Cuni Nature Re-balance is elaborated thinking in animals of advanced age who have little physical activity and tend to be overweight, as well as for those with a sensitive digestive system. 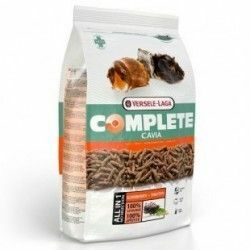 It is a complete food for easy digestion and low in calories.